Get perfect brows that are natural or bold with long-lasting Arch Nemesis 4-in-1 Dual-Ended Brow Pencil. What it is: Arch Nemesis is a 4-in-1 Dual-Ended Brow Pencil with a long-wearing formula that flatters, grooms and fills in brows precisely in three true-to-you shades. What it does: Some may argue that the eyebrows are the focal point of any look—we wholeheartedly agree. Design and define your brows with this 4-in-1 Dual-Ended Brow Pencil in three natural shades… unruly brows are no longer your Arch Nemesis! Both cruelty-free and easy to apply, this vegan 4-in-1 eyebrow pencil features two unique tips for fully customizable brows. 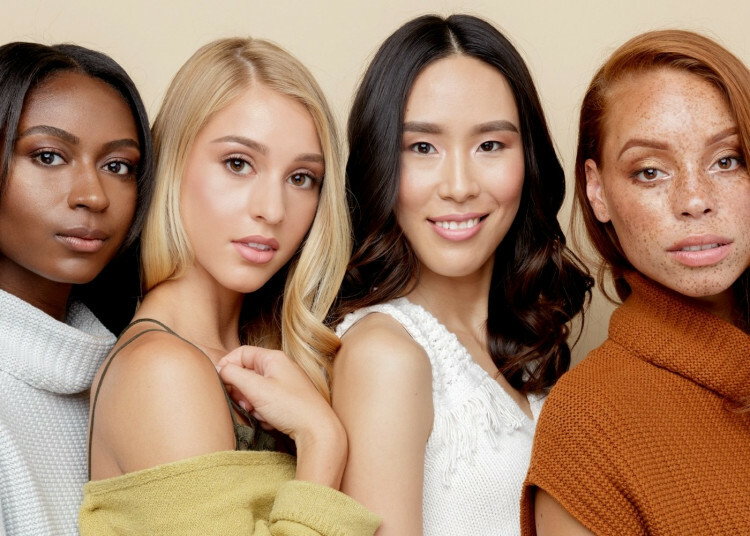 Whether you’re going for natural and feathery or bold and beautiful, Arch Nemesis 4-in-1 Dual-Ended Brow Pencil is specifically designed for precise application and face-framing results. The small, soft tip mimics the finest of hairs, making it perfect for spot filling sparse areas. 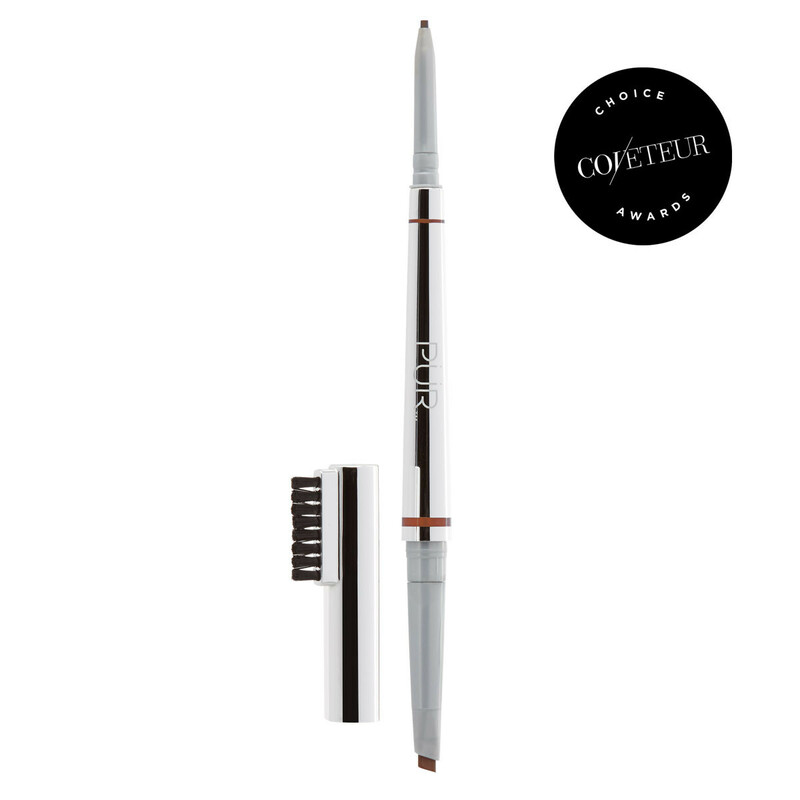 Featuring a thicker, unique triangular side, the medium tip creates natural, hair-like texture for bigger, bolder brows. Its blend of pigment ensures that this long-wearing formula that’s antioxidant-rich, keeps brows looking great and staying in place all day. Green tea leaf fibers aid in volume and Vitamin E helps strengthen brows over time. Choose from three universally flattering 4-in-1 Dual-Ended Brow Pencil shades and help keep brows tamed with the attached spoolie eyebrow brush. No pencil sharpener required. *Based on results of a self-assessment study. Use the small tip to gently outline the base of the brow with short, hair-like strokes. Clearly define the arch and tail to a desirable shape. Use the slanted, triangular side to fill in any sparse areas for a thicker, more defined brow using tiny, upward strokes. To strengthen and nourish the brows over time, use Envious Brow Mask nightly. The mask can also be used to prime brows prior to applying Arch Nemesis. This is my favorite brow product ever!! Its the fastest i have ever done my brows and isnt too waxy or too pigmented! Just right. One word... AMAZING!! I love this brow pencil it’s the best brow pencil that so precise and gives my eyebrows the most natural look. I love this brow pencil almost more than words can express! This brow pencil is very pigmented, but very firm - unlike other pencils that can be more wax-like. The firmness of the pencil really helps with the pencil being longer wearing, especially in the humid weather down here in Texas! I love that they have a very small, precise tip for me to outline my brows and detail but also a larger tip to fill in areas and deepen the color rather than having to use up all of a thinner pencil! I also love that the colors don’t pull too red like lots of pencils do! I reccomend this pencil to everyone because it checks every box anyone could ever want! I like the product, I bought the dark brown shade and it's the perfect shade for my neutral hair, most browns have too much of a red undertone. However, I only really use the skinny end, because the tri point flat end is really hard to use since it's so big and can't get under the brow hairs. Also the pencil needs to kind of warm up before it is usable. The brush is sort of weird to use because it's so short and on the bulky end of the pencil so you end up hitting yourself with it. To make this 5 stars I'd love either the fat end to be skinnier, or replace it with a spiral eyebrow brush and give more product for the skinny end. 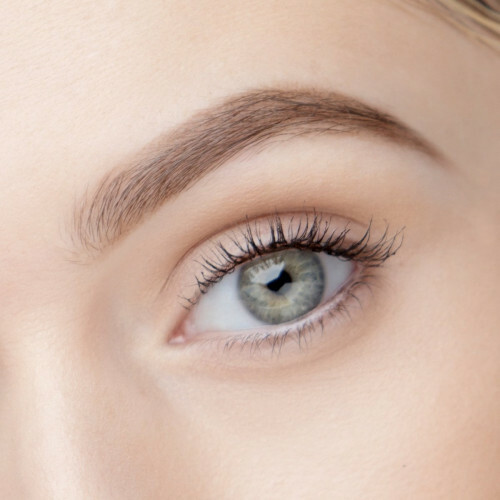 I’ve been using the Anastasia brow wiz for years, but I love this one way more! Easier to use and more pigmented. This is a game changer! Such an amazing brow pencil! I absolutely love the double sided pencil! Some days, you wish to have a more casual and natural look, and some days you want your brows to be bold and thick. I love that this product allows for both in one convenient pencil! The product itself is creamy and easy to apply. Stays all day. I don't think I'll ever go back to using my old brow pencils! So addicted already! my brows have never, ever looked better! I love that I can use the thick tip for filling in the middle of my brows and the more precise tip for filling in the front and back. this is my brow pencil dream come true!